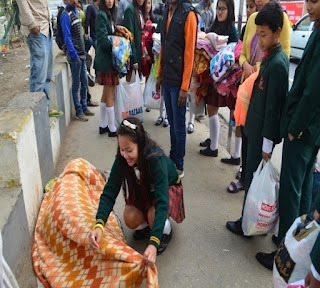 Two Silver Award participants, Shilpi Daimary and Kavery Mahela from Miles Bronson Residential School, Guwahati, are sharing their experience during the Blanket Donation drive to protect pavement dwellers from the cold. Inspired and motivated by the initiative of NDTV and Uday Foundation’s mission to keep the pavement dwellers of North India warm, we, the Award participants of Miles Bronson fraternity also joined hands in saving the lives of the people in need. On 3rd December 2015, it was announced in our morning assembly that we had to collect blankets and warm clothes for people who were dying from the cold on the streets, in slums, orphanages and old age homes. On Sunday, the 6th of December 2015, we collected a huge pile of old warm clothes and blankets from the Bronsonians and the teachers. It was wonderful to see that some of our teachers and Bronsonias brought not only old warm clothes but also new blankets, warm clothes, socks and gloves to keep people warm. After collecting the donations, on 13th December 2015, we, the Award participants, along with our mentors, distributed the blankets and warm clothes to the pavement dwellers living near the Sukreshwar Mandir, Panbazar, Guwahati. It was fulfilling to see the smiles on the faces of those pavement dwellers and we wish all our friends and teachers a heartfelt thank you in taking such initiatives and make someone's life worth living in cold winters. Bronze and Silver Award participants from Jodhamal Public School, Jammu completed their Adventurous Journey at Koti (Kufri) in Himachal Pradesh from 24th to 29th of March 2016. Vandana and Poonam, two mentors from the school share a report about their Award Journey with us. In our interconnected and wired world, the youth is increasingly tethered to their digital devices, working tirelessly to maintain their digital profiles. As social as these exercises may seem, they are in fact becoming more of a way to isolate oneself and stunt social interactivity, rather than as a tool to encourage it. An Adventure camp, with a meaningful purpose and a goal, was the finest idea which was planned for their respite and change in their outlook of the world. This camp was organized for the Bronze and Silver level participants along with other students of classes VII-IX to Koti (Kufri) in Himachal Pradesh. On 24th March, 78 students including 18 Award participants escorted by 8 mentors under the supervision of S. Ganguly left the premises of Jodhamal Public School at 10 PM, to reach Chandigarh at 5:30 the next morning. With a sumptuous breakfast at Chandigarh, the team moved ahead for Koti, which took almost four and a half hours. The camp in Koti was set amidst the lush green hilly areas and had the most amazing panoramic view. Swiss Tents were set up to provide a conducive environment for the participants. Various activities were designed in camp to have fun and provide direct learning experiences. Spaced out within a span of 4 days the participants enjoyed a new found independence away from home and beyond regular text books. The participants were taken for mountain trekking approximately 2200ft above the sea level. 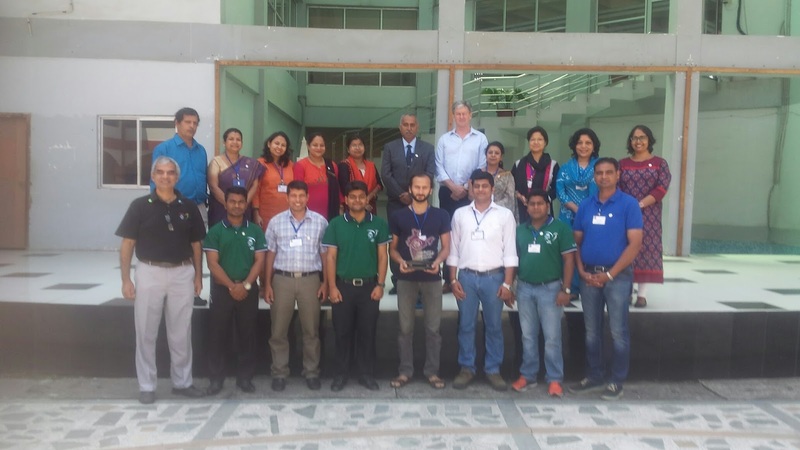 The Trainers first gave an enlightening lecture on various adventure activities, rope courses, equipment usage, tent pitching and trekking and then demonstrated use of various equipment’s during mountain trekking and setting up a tent. The Adventure camp shifts the focus away from the individual, and teaches campers to be more selfless and become better team players. Learning team and individual goal setting, conflict resolution, and overcoming challenge have led to improved individual confidence and self-worth. Campers like Ishita Sharma of Silver Level and Ashwin Suri of Bronze Level expressed their feelings of increased self-confidence, and a stronger sense of their own individuality. 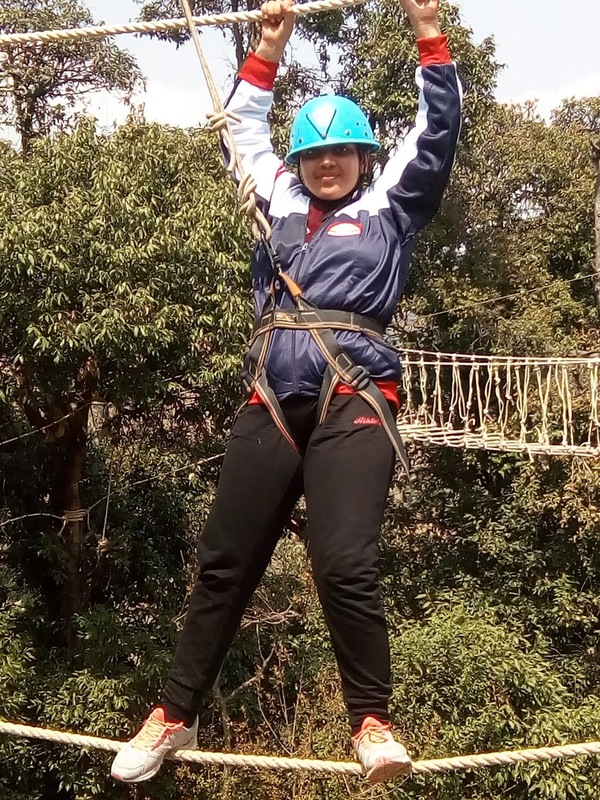 The participants were given thrilling and unforgettable experiences of different adventure activities like Burma Bridge crossing, Bamboo Bridge crossing, Commando Bridge, Bush craft, Zip line, Jumaring, Rope Valley crossing, night trekking and camp fire. Every activity tried the strength and flexibility of the participants and taught them to sustain themselves in the toughest conditions and improved their endurance levels. We all heard participants proudly exclaim, “Look what can I do!” This proclamation of accomplishment came from doing something they hadn't done before and gained the confidence to do it again. Participants and mentors alike build their self-esteem and self confidence by challenging their fears and doubts and winning in this adventurous journey. A short leisure trip was also organized to Shimla (Mall Road) where the participants discovered and bought various Indian articrafts in the Lakkad bazaar. 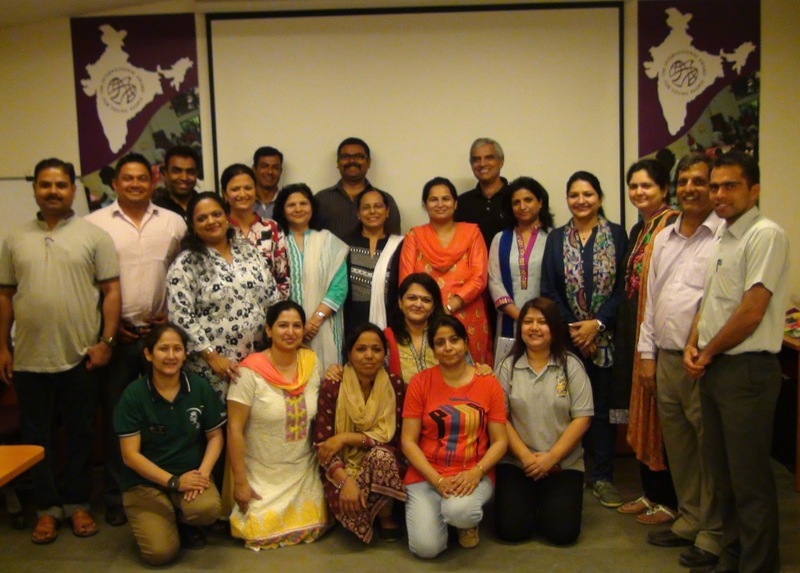 We left for the camp on 23rd March 2016 from Mumbai with 55 Award participants including one Gold level, 20 Silver level and 34 Bronze level participants. We arrived in Ahmedabad at 5:30 am and undertook a bus journey to Mount Abu (the campsite). On the first day of our journey we learnt about tent-pitching, essential knots and different kinds of camping gear. On the same day, we also went for a three-hour trek to Sunset Point and returned in the evening. The day was full of experiential learning for all of us. Everyone noted the important points in their diaries and record keeping journals. The other activities in which we took part were caving, rock-climbing and rappelling. The participants were made to trek to the locations at which these activities were organised. These activities were quite arduous under the scorching sun, but they allowed the participants to step outside their comfort zones and challenged them in ultimate terms. They learnt about mountain manners and first aid. At the closing of the day, the participants even put up short skits in groups on social issues, an inspirational sight to witness. The International Award for Young People India organized a two-day Award Leader training workshop on 30th - 31st March 2016 at the Award Training Centre, New Delhi for 19 participants from various Institutions including Birla Vidya Mandir, Nainital; Chinar Public School, Alwar; GD Goenka World School, Gurgaon; Hamro Sankalp Welfare Society, Guwahati; Jodhamal Public School, Jammu; KD Ambani Vidyamandir, Jam Nagar; Mata Jai Kaur Public School, New Delhi; Pinegrove School, Solan; Raphael (for the differently abled), Dehra dun; Selaqui International School, Dehra Dun and The Doon School, Dehra Dun.